U.S. stocks remained above recent resistance levels, reaffirming the uptrend. So it’s still game on for buying risk assets. Earnings season kicked off last week, and Q2 GDP estimates are due this week. 10-year treasuries regained their 50-day moving average, while gold and commodities remain in a downtrend. 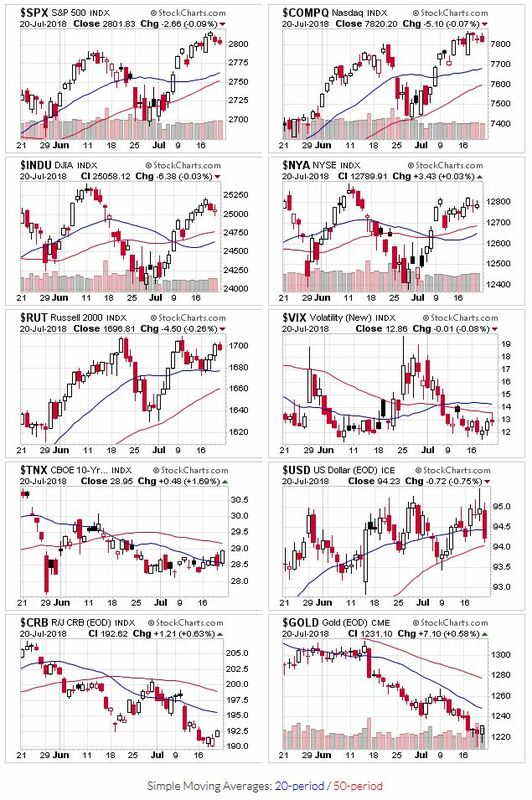 All the indexes start the week above their 20 and 50 day moving averages. 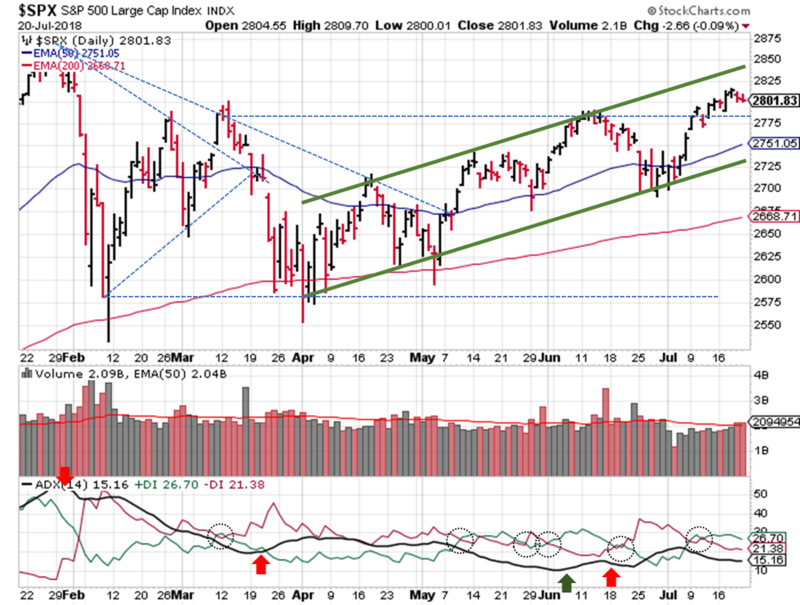 We saw some higher volume selling last week (Thursday), but the signal remains in an uptrend. OEW remains in an uptrend, and the 3000 S&P price target (~6% from the current price level) is back in play. Technically speaking, the S&P ($SPX) meandered around last week and didn’t move much in either direction. Prices stayed above the 2787 support level and within the current upward price channel. As for the ADX, the reading remains below 20, but at least the signal remains bullish.